I need help, who do I ask? Who is on the tech team? The technical team is the wiki's go-to team for any major or minor changes which require advanced knowledge of wikidot syntax, web coding, or applications coding. The Technical Team is responsible for the maintenance of technical assets (such as the site template, chat bot, and core site code components), identifying and diagnosing technical issues with the site, and either correcting them or relaying the issues to Wikidot. 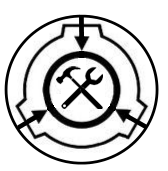 The Technical Team is also responsible for consistent tagging of all pages of the SCP Wiki and assisting other staff teams with projects requiring technical input, such as contests and categorization. The team captain is DrMagnus. Any questions or concerns regarding technical issues should be directed at him or the administrative contacts for this team. Technical staff aren't available 24/7 unfortunately. We are, however, available as soon as humanly possible. You can always send any technical questions to any technical team member via wikidot PM, or you can visit our IRC Chatroom. Below is a quick reference for the technical team members. Users with a role in red are currently inactive. For details on roles, levels, and responsibilities, please check our team member details page. One of our most important jobs, is of course maintaining and tagging the wiki. It's a pretty complicated subject, and the tag guidelines are explained here. There's also a general list of tags available here. A list of ongoing, completed, and other technical projects can be found here.